BioThrive Sciences began over 20 years ago and today, we serve some of the industry’s largest and most respected customers in the supplement and nutraceutical market. Our company strives to uphold and set the standard for the highest level of quality and service in contract and private label manufacturing. 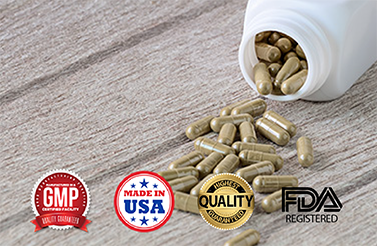 Our products are FDA regulated and exceed the GMP standard which has built our reputation for world class manufacturing. BioThrive Sciences can bring your product vision to the market in an affordable and timely manner. Our high standards and quality assured products are what make BioThrive Sciences successful; we understand our achievements are directly reflected in your company. Our team is experienced in design, production, and packaging to better target your demographic and market audience. Your reliance on our facility, service, and specialists is taken very seriously—your products, delivery, and formulas are guaranteed to be consistent. All products are made with natural, select ingredients in the United States and every compound created is verified and tested. Our facility uses the most advanced technology and maintains excellent sanitization practices and measures, allowing for fast turnarounds. All products are regulated by governing agencies, meaning they will always be safe for consumers and in compliance. BioThrive Sciences can take your product from its inception all the way through to delivery. With one expert team managing all your services, you never have to worry. We are dedicated to our clients and guarantee their satisfaction. Contact BioThrive Sciences for more information regarding our services. Call our team at: +1 (844) 263-3657 or send an online message today!